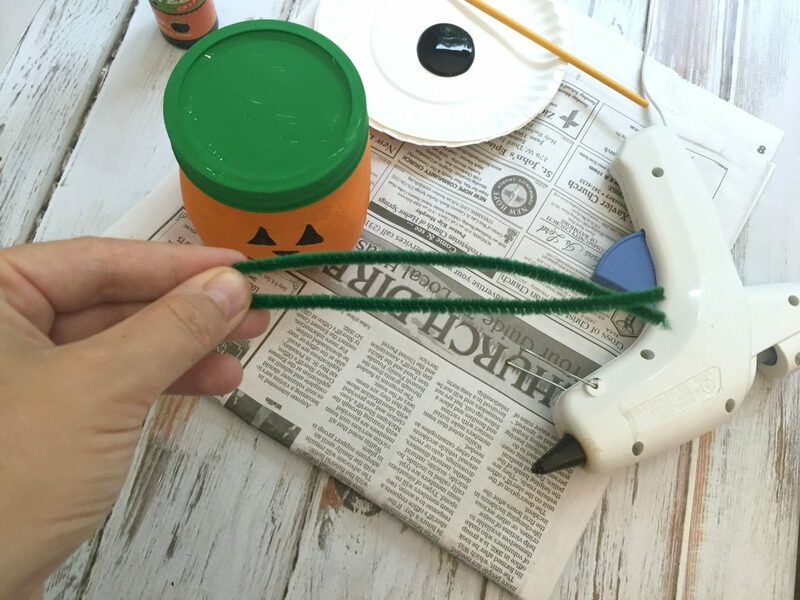 Halloween is a great time for crafts! 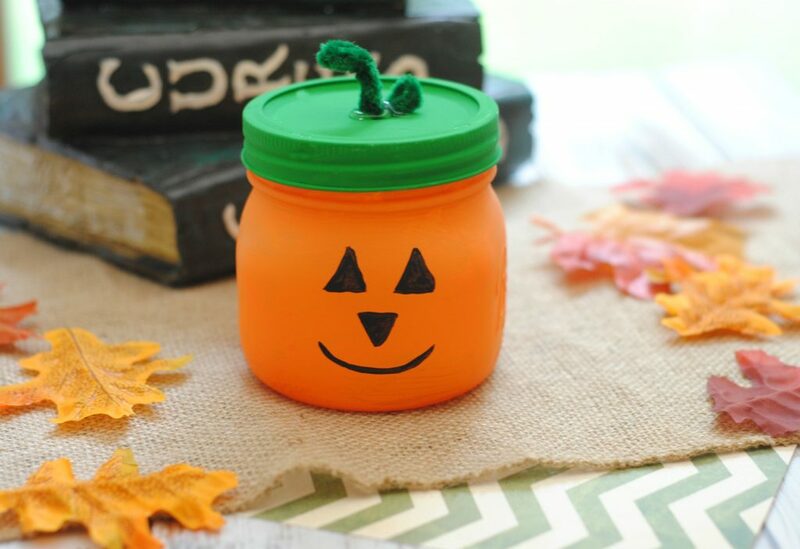 Here is a cute pumpkin jar craft that you can use to store all those yummy Halloween treats in! *Open and lay the newspaper down where you plan on painting. this makes for easy clean up. 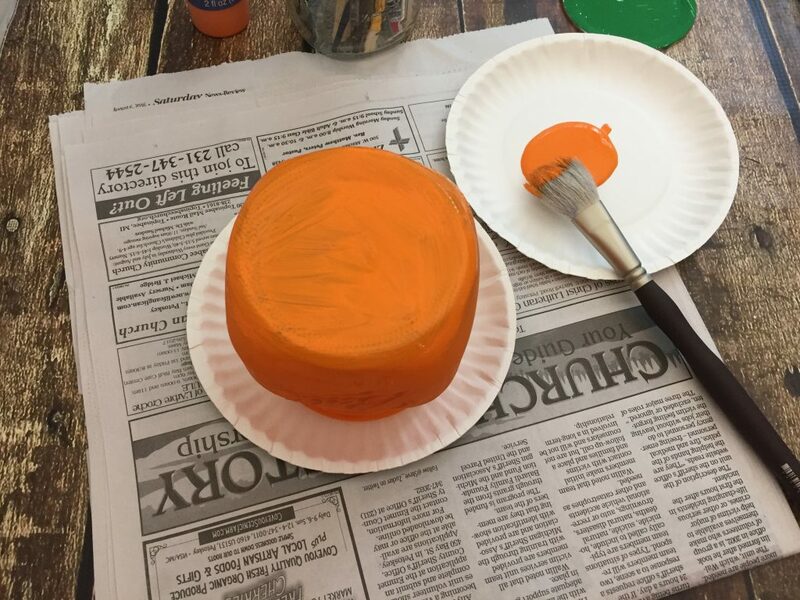 *Begin by painting the outside of the mason jar orange (see photo). 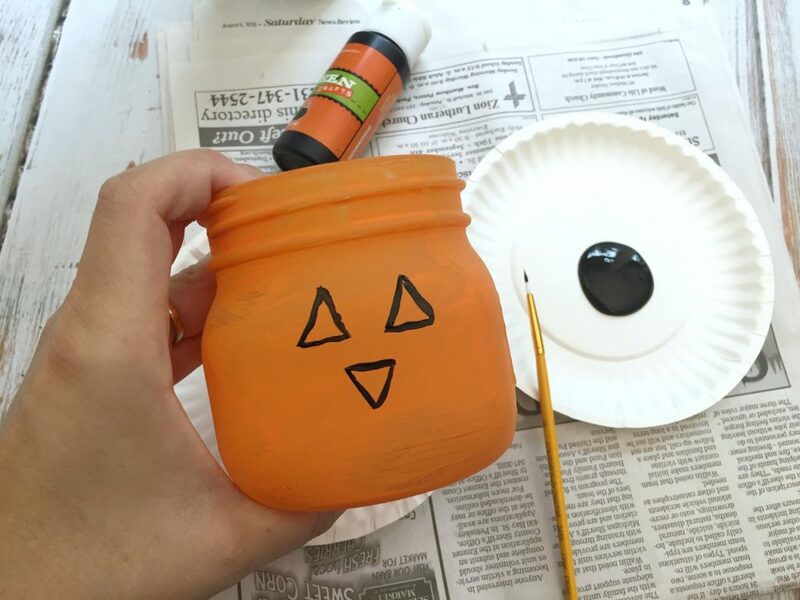 Paint the entire jar orange and let dry. 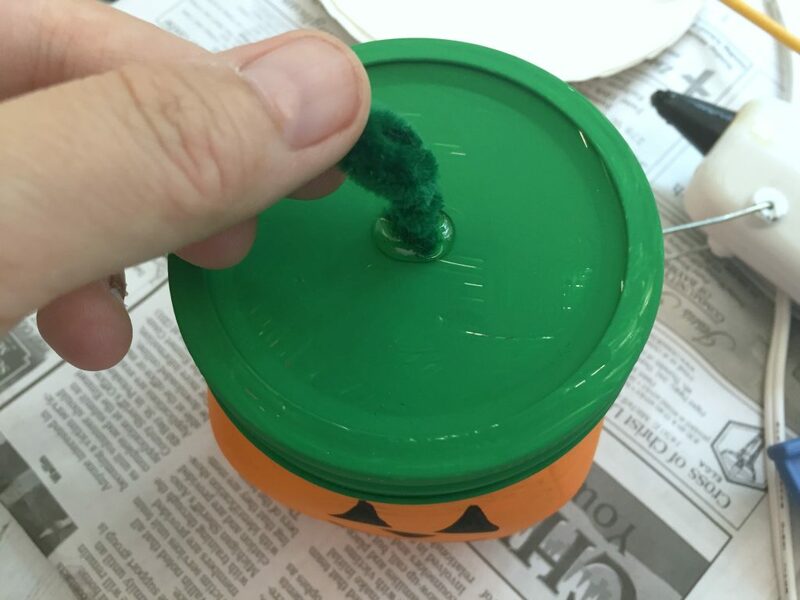 *Next, paint the lid and ring using the green acrylic paint and let dry. 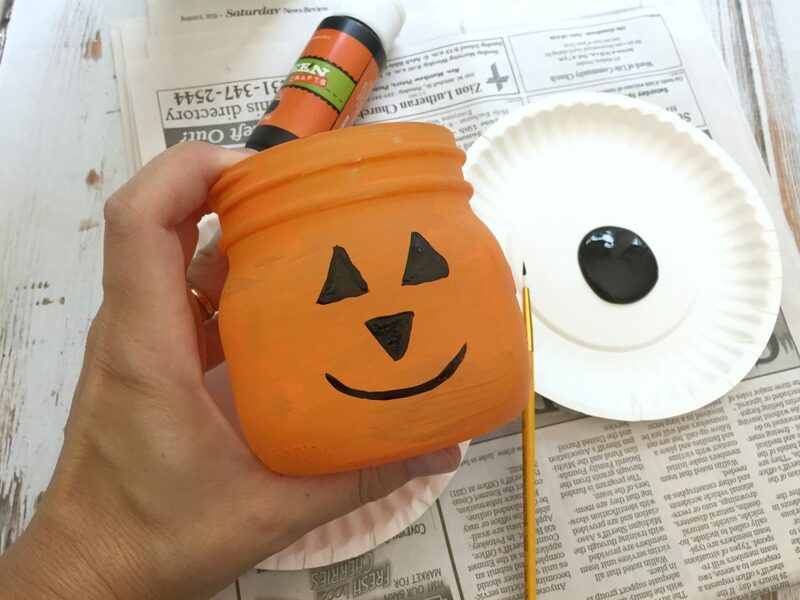 *Once the jar has dried completely, you can use a a small paint brush to give the pumpkin 2 eyes, a nose and a mouth (see photo). Let dry. 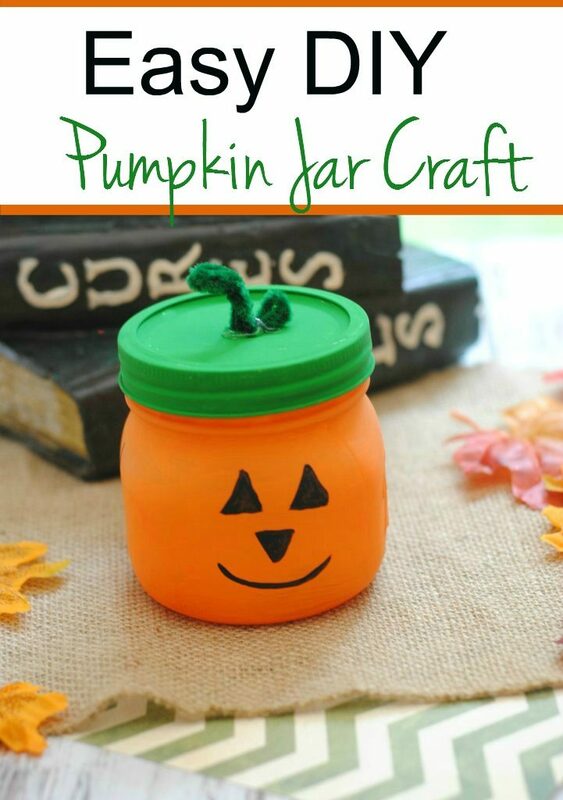 *Once the jar, lid and ring are dry, plug in the low temp hot glue gun. *Take the green (or brown) pipe cleaner and fold into thirds (see photo). Use the scissors to trim shorter, if desired and use the hot glue gun to attach the ‘stem’ to the lid of the jar. 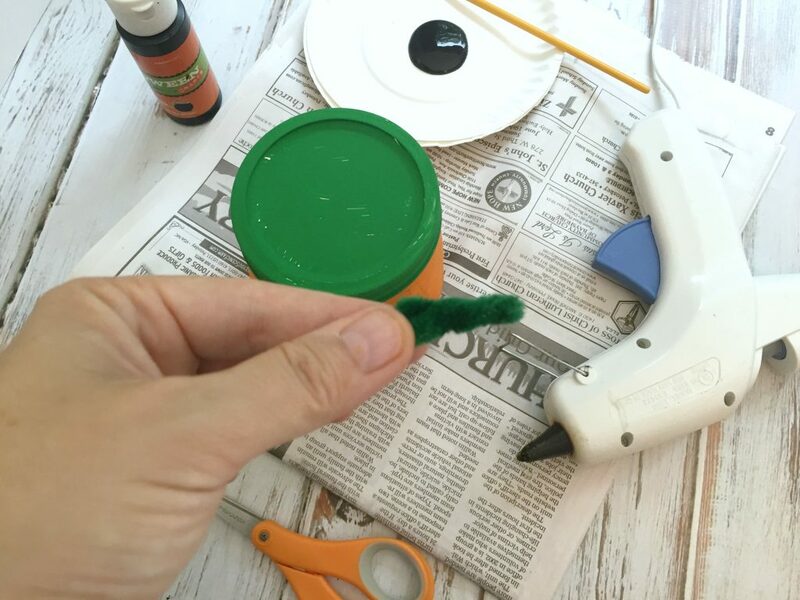 Take a smaller piece of pipe cleaner, fold in 1/2 and glue on the side of the stem for the ‘leaf’.